In a city that has close to 22.2 million ‘Delhi-ites’, Delhi can surprise and delight you with its rich heritage, stunning architecture and diverse cultures. But, digging deeper into its gritty exterior, you will quickly discover a rich tapestry from the bygone era of the Mughals and beyond, leaving one mesmerized with its fascinating artifacts, archaeological monuments, minarets, museums and arts. Delhi has been the beneficiary of the cultural, social, political, religious and economic prosperity provided by various rulers and dynasties. 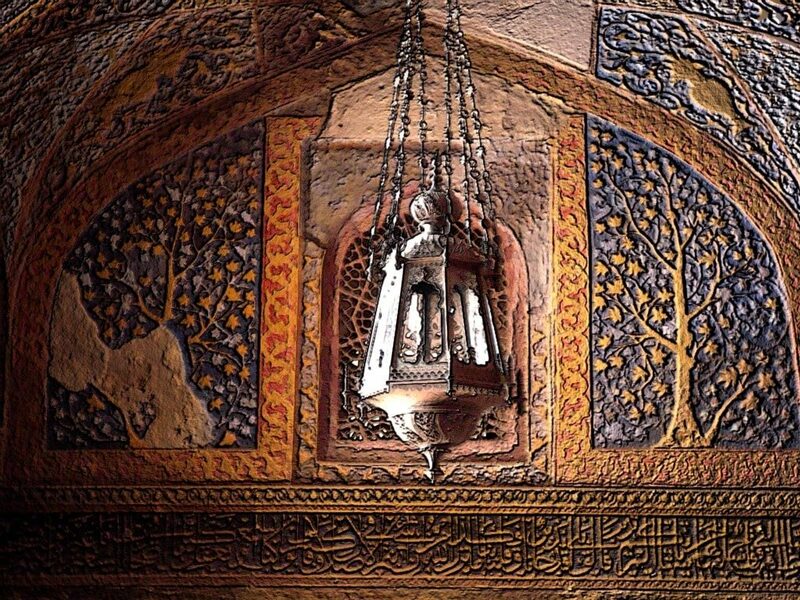 The city has been abundantly gifted with architecture as seen in the monuments, mosques and tombs. These are architectural wonders, some of which have become world heritage sites bring millions of international and national tourists to Delhi as they marvel at the city’s magnificent past. If you are a lover of history then Delhi beckons. To the uninitiated, Delhi was not the original capital of India during the time of the British Raj. The city became the capital when the British decided to move the seat of power from Calcutta to Delhi in 1911. 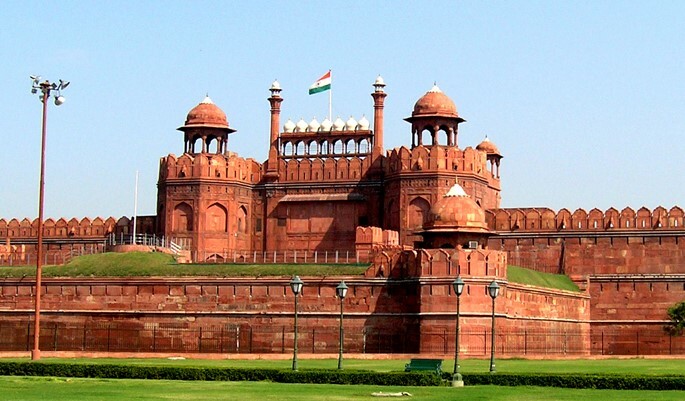 Delhi actually consists of two cities, the historic Old Delhi in the north and New Delhi situated in the south. It sits across the west bank of the River Yamuna; a tributary of the River Ganges and 160 kilometers south of the Himalayas. The name ‘New Delhi’ was coined in 1927 and was made an important commercial hub. It officially became the capital when India gained independence on 15 August 1947. To experience Delhi is to appreciate its glorious past. Here are the top ten sites that you must visit. 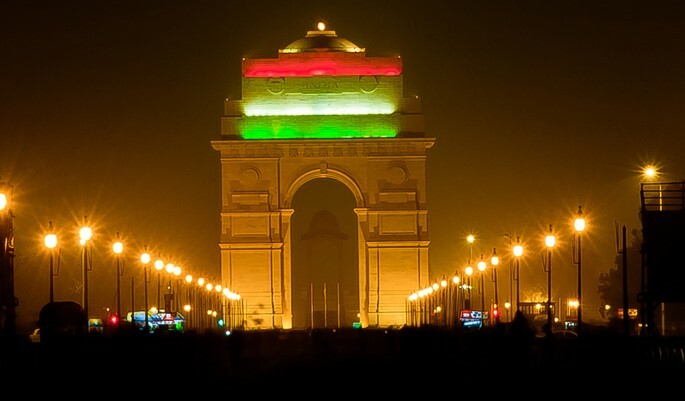 The India Gate is a war memorial to honor the 82,000 fallen Indian soldiers during World War 1. It was built in 1931 and designed by the British architect, Sir Edwin Lutyens. The India Gate is very popular with locals and tourists alike during the summer and a favorite hot spot for picnics with the family. The Rashtrapati Bhjavan was formerly known as the Viceroy House. It is the official residence of the President of India. The British architect, ‘Sir Edwin Lutyens’, designed the palace, which draws numerous tourists each year. 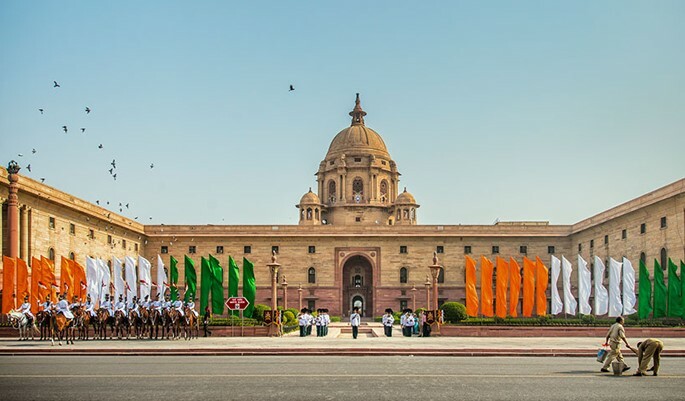 Every year on India’s Republic Day, 26th of January, the whole building gets illuminated and a parade to mark the occasion starts from the Bhavan. 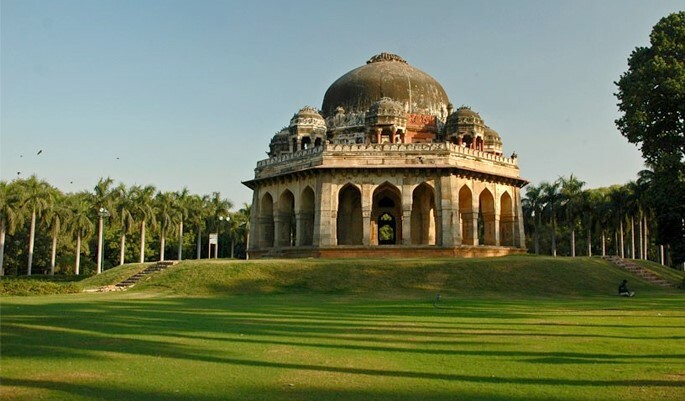 Lodhi Gardens is the architectural work of the 15th century by Lodhis from the Afghan dynasty and contains the tombs of Mohammed Shah, Sikander Lodi, Sheesh Gumbad and Bara Gumbad. It is an historical landmark and has a park spanning 90 acres. It is currently under the protection of the Archaeological Survey of India (ASI). The Red Fort or ‘Lal Qila’ built in 1648 was the second architectural accomplishment by the Mughal Emperor, Shah Jahan after the Taj Mahal. The construction of the fort reflects that of Persian, Indian and European designs. Whilst at the Red Fort, you can explore The Mumtaz Mahal, The Rang Mahal, The Khas Mahal, The Diwan-i-Am, The Diwan-i-Khas, The Hamam, and The Shah Burj. Every year on 15th of August, the flag is raised at the Red Fort to mark India’s Independence Day. The sound and light show held every evening is one not to be missed as it showcases the grandeur of this glorious past. 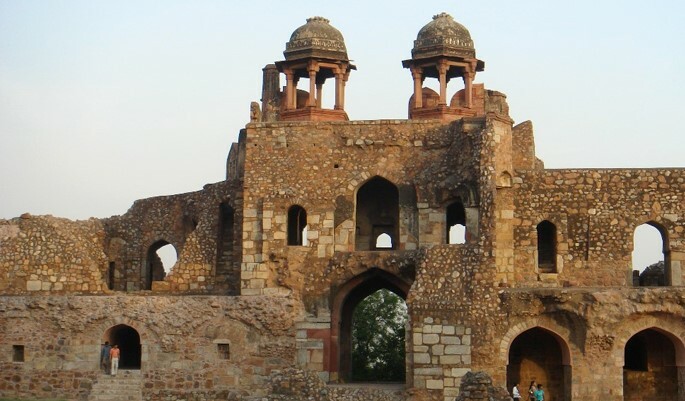 Purana Qila is Delhi’s oldest fort and sources say it has connections with the fabled city of Indraprastha as told in the ancient Sanskit script of Mahabharata. The fort is also known as ‘Qila-i-Kuhna Masjid’, which bears semblances of the Lodhi style architecture with influences from the Hindu, Afghan and Mughal designs. There are three gates, Bada Darwaza (Big Door), Talaqi Darwaza (Forbidden Door) and Humayun Darwaza (Humayun’s Door) that provide access to the fort. 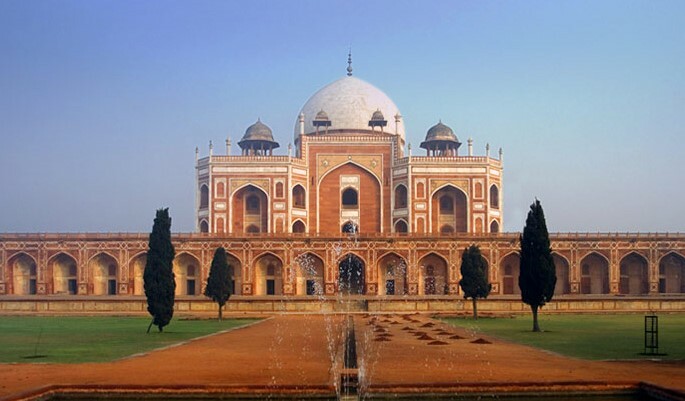 The design of the Humayun Tomb was the stimulus for the creation of the Taj Mahal. Built in 1570, it was the first garden tomb built in the Mughal “Char Bagh” style or an ‘enclosed four part’ garden with pools joined by channels. The design has its roots in the Quaranic Paradise Garden or also known as the ‘Universal Garden’ with strong inspiration from Persian architecture. The site was designated as a UNESCO World Heritage Site in 1993. Jama Masjid also known as Masjid-i Jahān-Numā carries the Persian meaning of ‘mosque commanding the view of the world’. 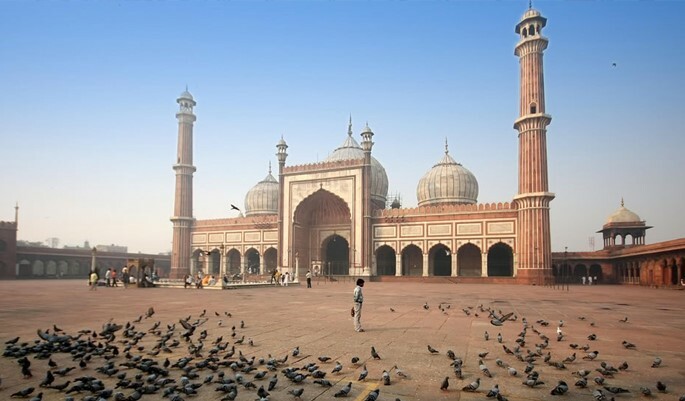 It is the largest mosque located in the heart of Old Delhi and faces the famous Red Fort. Emperor Shah Jahan constructed it in 1656; it is built of sandstone and marble bearing designs of Indo-Islamic architecture and can accommodate up to 25,000 worshipers. 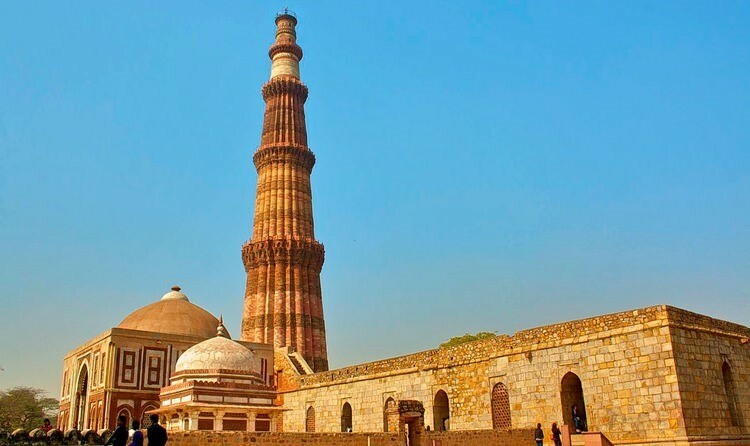 Standing at 73 meters tall, the Qutb Minar is the tallest black minaret in the world and the second highest minar in India after Fateh Burj at Punjab, India. Known as the ‘Tower of Victory’, its’ construction of the minaret marked the inception of the Muslim rule in India. It is located at Mehrauli where around 3.9 million people visit the minaret every year. 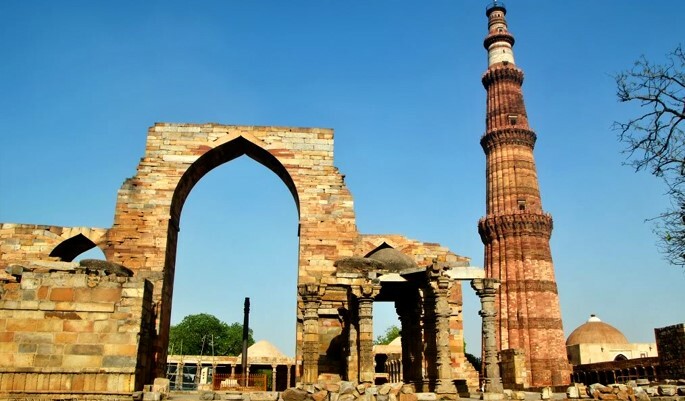 Qutb Minar is constructed of red sandstone and marble and has been designated as a UNESCO world heritage site. 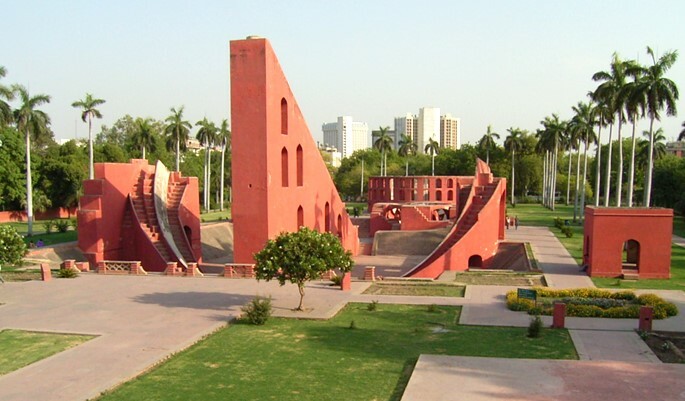 One could be mistaken to view this as an abstract art gallery of sorts but Jantar Mantar is in fact an observatory built between 1699-1743 by the keen astronomer, Maharajah Sawai Jia Sigh II of Jaipur. The main purpose of the masonry structure was to predict the times and movements of the sun, moon and planets. ‘Akshardham’ means the divine abode of God. It is a Hindu Temple in Delhi, which pays homage to the much-revered Bhagwan Swaminarayan (1781- 1830) as well as other great sages of India. The inspiration for the design of the temple, delicately carved out of sandstone and marble came from His Holiness Yogiji Maharaj (1892 -1971CE) and was created by His Holiness Pramukh Swami Mahara. It took 300,000 volunteers to build the temple and was opened in 2005. Visiting the Mandir is a spiritually uplifting experience and one not to be missed when visiting Delhi. 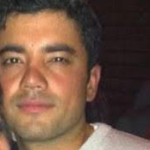 Shaurya Singh is a founding partner in successful real estate start-ups www.theperch.in and www.aparmenthub.in in India. An MBA in marketing from the FT World ranked #26 –Indian School of Business, an avid traveller as well as a professional golfer and contributor to top Digital Marketing and Hospitality blogs. Nice information. I want to discover Akshardham Temple. It’s really helpful to me. Thank you for the note! We are happy to hear that you enjoyed the article. Nice blog, the article you have shared is good.This article is very useful. My friend suggest me to use this blog. thank so much! Thank you for the comment. We are glad you checked us out! These are the amazing Historical places in Delhi. I really love these. Thanks for sharing. Great work. Keep it up.